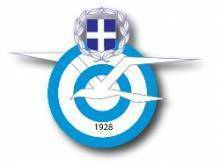 The Air Club of West Thessaly , under delegation from E.L.A.O. 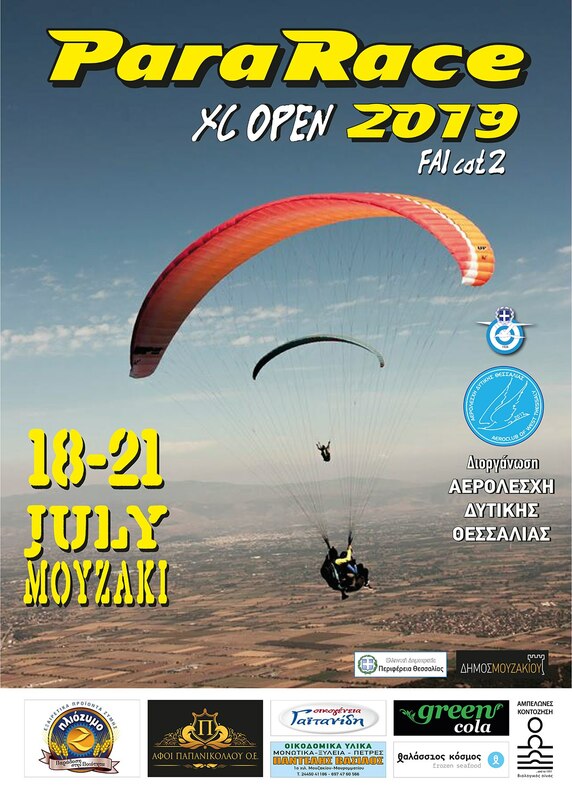 organizes an FAI cat2 paragliding competition, Regional Competition 2019, lasting four days, 18 till 21 of July (with the trainning day) in Moyzaki, municipality of Mouzaki Karditsas and invite all clubs and pilots to take part in it. 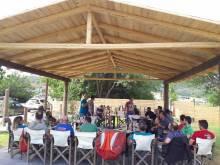 Maximum number of participants: 80 pilots. The copmetition will be contucted according to the FAI rules. 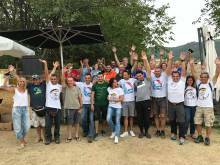 The races will be held under the current competition regulations as published on the website of the Paragliding Commission of the Hellenic Airsports Federation ( rules ) . Unmodified and certified helmet (EN 966), harness (EN 1651), and paraglider (EN 926/2), rescue parachute. 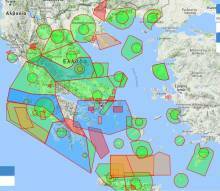 2m Radio and live tracking device or smart mobile phone with internet conections. 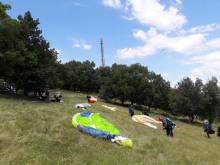 Flights to the Koziaka Mountains, with a take off over Mouzaki, are well known in the Parachutis airway community and the area is a popular destination for athletic trainings and recreational flights mainly during the summer and autumn months. 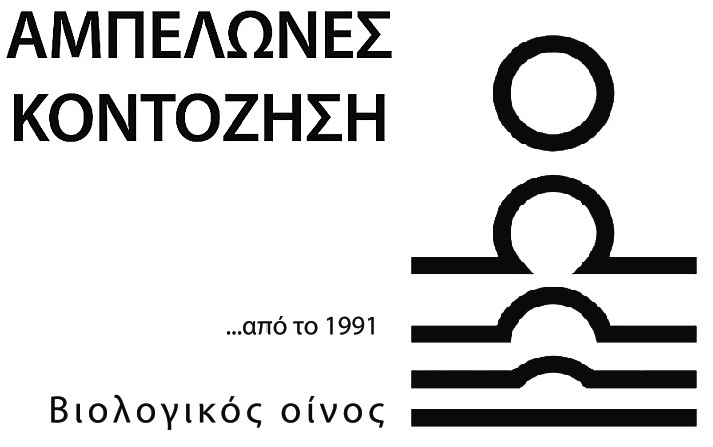 The consultation and closure of the rooms is at the sole responsibility of the athletes - visitors. 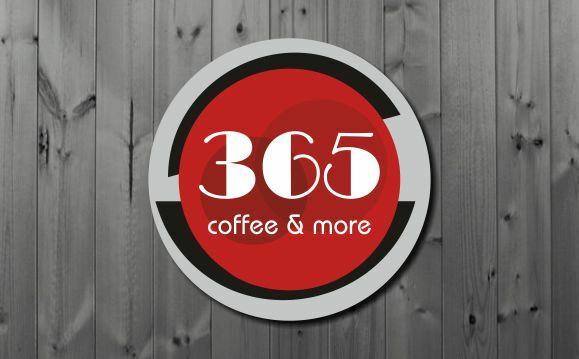 50% refund if cancelled before 17/6/2019 - No Refund after this date.